While the Committee welcomed the government’s desire to fix the human rights issues that this law presents, it also raised a number of ‘significant concerns’ about the drafting of the proposed changes. What’s Wrong with the Existing Law on Surrogacy? Parental Order: The legal method of transferring the rights from the surrogate as legal parents, to the person or couple who will become legal parents. Draft Bill: A set of proposed legislation. 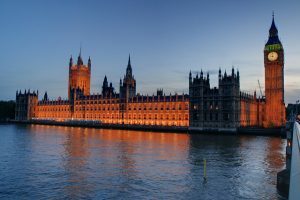 It is published in draft form so it can be scrutinised and amended before it is put to the Houses of Parliament for a vote. When a baby is born through a surrogate, a parental order is used to transfer the legal rights from the birth mother to the intended parents. 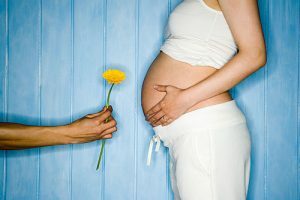 Under the law as it stands, a couple can apply for a parental order for a child born through a surrogate within six months of that child’s birth. This is so long as the gametes (egg or sperm) of at least one of those applying were used to create the embryo. However, the law does not currently allow a single parent to apply for a parental order. This means that a child can live happily with its biological parent but, if the parent is not married, in a civil partnership, or in an enduring family relationship, there can be no legal recognition of their relationship with their child. This creates a significant amount of uncertainty for single parent families, leaving them in a state of ‘legal limbo’. The rules were challenged in a case known as Re Z (A Child) (No. 2) in 2016. The Family Division of the High Court declared that the distinction between single parents and couples was incompatible with the right to private and family life (article 8) and to non-discrimination (article 14) under the Human Rights Convention. Why does the Joint Committee on Human Rights Object to the Changes? The government proposed amendments to the current law in order to allow single parents to obtain parental orders. While the Joint Committee on Human Rights praised the decision to take action, it viewed the new wording as problematic. For instance, according to the proposals an individual could apply for a parental order on their own only if they were not in an enduring family relationship with another person. If a court considered that a person was part of an enduring family relationship, then they could obtain a parental order only as part of that couple. Their partner would then also be legally recognised as an equal parent of the child, regardless of their biological relationship or their desire to take on legal responsibility for the child. The Committee found it ‘surprising’ that a partner should be compelled to either become an equal parent or to ‘effectively veto’ legal recognition of the biological parent-child relationship. This, in turn, raised a second concern as to whether such an amendment would itself be legal. The Human Rights Act (1998) allows a Government Minister to make amendments to legislation that has been declared incompatible with the Act, as is the case with the surrogacy rules at issue here. However, a Minister may only “make such amendments to the legislation as he considers necessary to remove the incompatibility”. The Joint Committee on Human Rights argues that the government’s Remedial Order fails to remedy the incompatibility as it “fails to address the human right of a child and his/her biological parent” where that parent is in an enduring family relationship. As the bill is only a draft, it will now go back to the Government who will look carefully at the committee’s findings, before deciding whether to make changes and send the proposed legislation to a vote in Parliament. View all posts by Rhiannon Jackson.